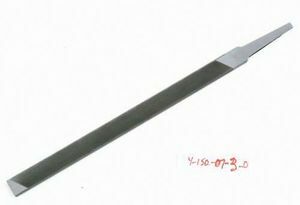 PROFESSIONAL WOOD CHISEL High impact plastic handle Drop forged blade Precision ground blade Lifetime warranty WC25 .25 IN. 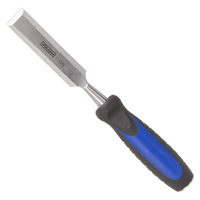 WOOD CHISEL SIZE:1/4"
FATMAX CHISEL Hardened & tempered ball-bearing grade steel Precision ground edge Patented, ergonomic, impact-resistant handle Etch marked blade, for easy identification Steel striking cap Packaging doubles as an in-store merchandiser 16-979 1-1/4 IN. 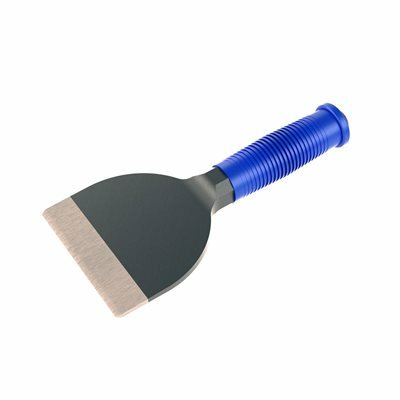 FATMAX CHISEL SIZE:1-1/4"
FATMAX CHISEL Hardened & tempered ball-bearing grade steel Precision ground edge Patented, ergonomic, impact-resistant handle Etch marked blade, for easy identification Steel striking cap Packaging doubles as an in-store merchandiser 16-980 1-1/2 IN. 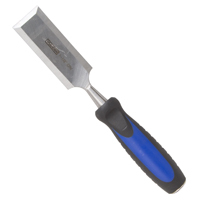 FATMAX CHISEL SIZE:1-1/2"
PROFESSIONAL WOOD CHISEL High impact plastic handle Drop forged blade Precision ground blade Lifetime warranty WC125 1.25 IN. 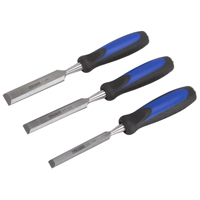 WOOD CHISEL SIZE:1-1/4"
Diamond Pt Chisel 1/4" Diamond Pt Chisel 1/4"
Chisel. 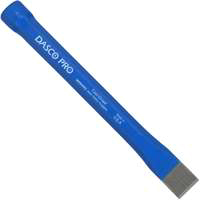 Diamond Pt Chisel 1/4". 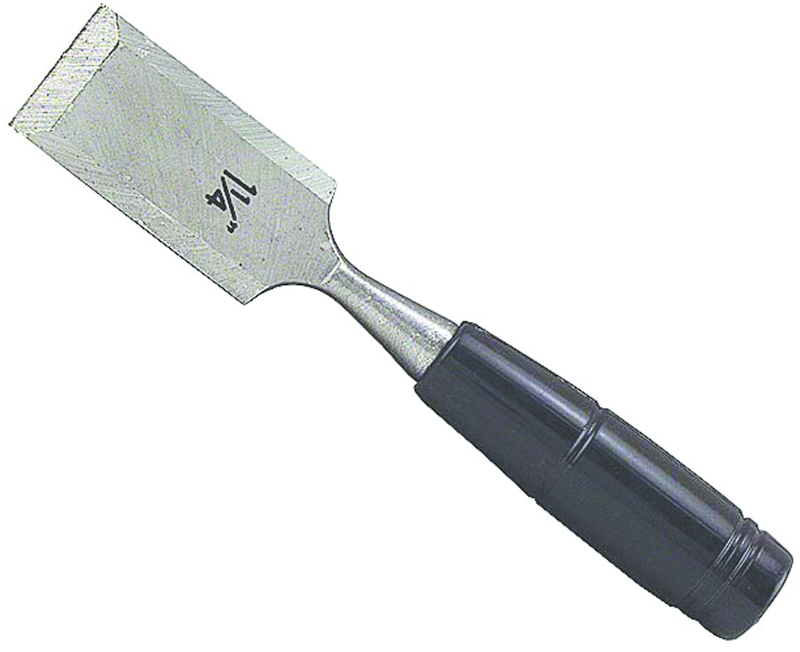 Manufactured by: Williams, a JH Williams Company..
Chisel. Punch / Chisel Holder . Manufactured by: Williams, a JH Williams Company.. 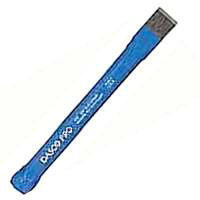 Round Nose Chisel 1/4" Round Nose Chisel 1/4"
Chisel. 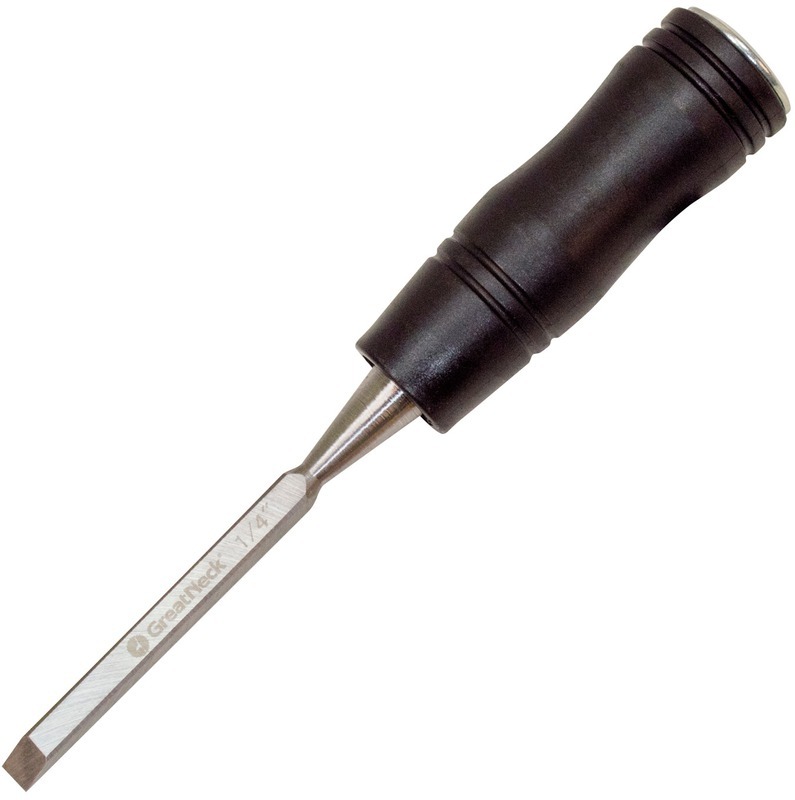 Round Nose Chisel 1/4". 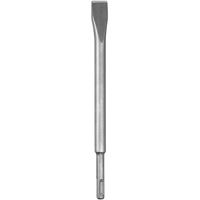 Manufactured by: Williams, a JH Williams Company..
Flat Chisel Bit File 7" Flat Chisel Bit File 7"
Engineering File. 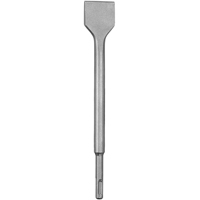 Flat Chisel Bit File 7". 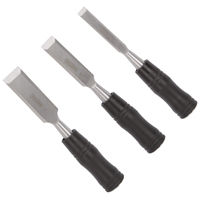 Manufactured by: Bahco, a JH Williams Company..
Cape Chisel 3/16" Cape Chisel 3/16"
Chisel. Cape Chisel 3/16". Manufactured by: Williams, a JH Williams Company.. 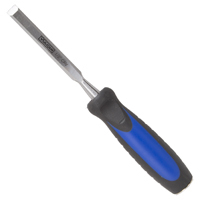 Cold Chisel 1/4" Cold Chisel 1/4"
Chisel. Cold Chisel 1/4". 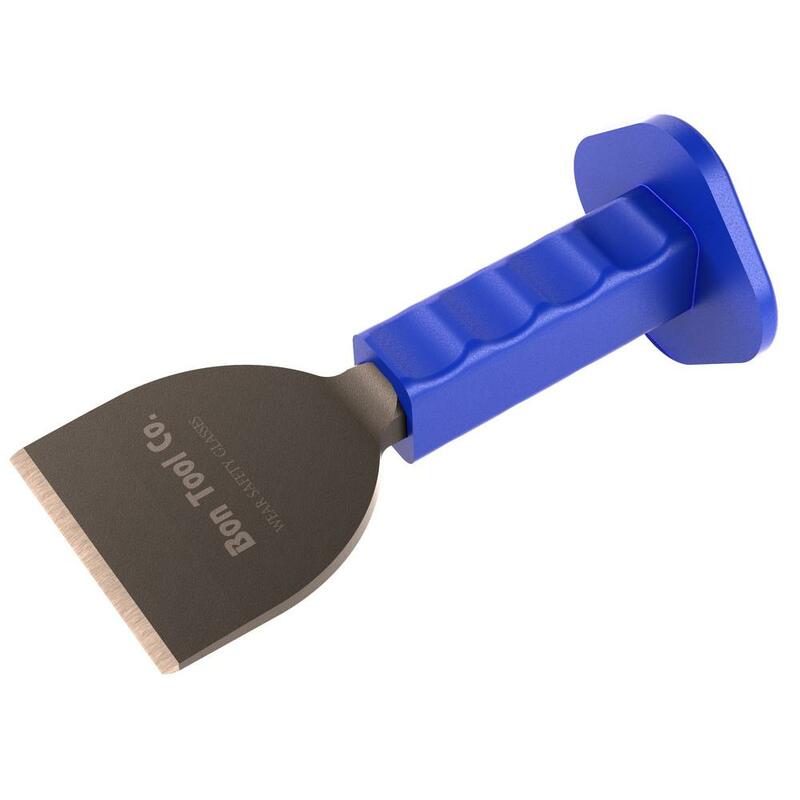 Manufactured by: Williams, a JH Williams Company..
RUBBER GRIP BRICK BOLSTER - 4" RUBBER GRIP BRICK BOLSTER - 4"
BON 11-204 BRICK CHISEL - PROTECTIVE GRIP 4" BON 11-204 BRICK CHISEL - PROTECTIVE GRIP 4"